We value your business and we want your online shopping experience to be easy and enjoyable. We're happy to answer your questions and can be reached Monday through Friday, 11:00 a.m. - 4 p.m. EST at 413-522-8857. During busy periods it may be necessary to leave a message. Your call will be returned promptly. The website is loaded through a secure URL at checkout and customer information, including your credit card information is SSL encrypted. For payment transmissions we use a the latest industry standard, a payment gateway with Authorize.net - a leading service provider. The secure SSL connection is also used to transmit payments to the credit card processor. All of your ordering and personal information is encrypted using secure servers for maximum protection. You may place your order via our web site or call with your order. Contact us Monday through Friday, 11:00 a.m. - 4 p.m. EST at 413-296-0363. During busy periods it may be necessary to leave a message. Your call will be returned promptly. Orders placed via the phone can not be tracked online and will not be a part of your online order history. DOGBEDWORKS accepts Visa, Mastercard, American Express and Discover. We're sorry, but we cannot accept checks. For custom order items your credit card is charged at time of order processing and shipment may be anywhere from 2-4 weeks depending on the item. Please be assured that your personal information is private and is never shared or sold to anyone at any time. DOGBEDWORKS is required to collect sales tax in Massachusetts at 6.25%. Your order confirmation includes your invoice. Please keep this for your records. In the event that you may have misplaced it, please contact us at 413-296-0363 or at info@dogbedworks.com. 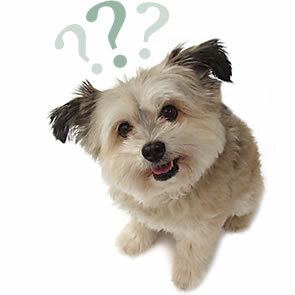 Your DOGBEDWORKS account information can be updated whenever you make a purchase. Account information contains necessary account information to speed you through checkout. All items are shipped direct from the manufacturer. This provides you with a large product selection that is nearly always in stock. Items may be out of stock periodically at the manufacturer. We will email you promptly if your item is out of stock. We process orders Monday through Friday, excluding Holidays. All Orders are shipped by the manufacturer via ground service with Fed-Ex/UPS. Multiple item orders may ship in separate packages. Special Order items delivery times are quoted on that product's page..
Orders ship direct from the manufacturer within 4-14 business days, times vary by manufacturer and will be noted on each product page. Volume (very large by size or dollar value) orders may incur additional shipping charges, even with a free shipping offer. Incorrect or undeliverable addresses and refused shipments resulting in an item being "returned to shipper" will be charged for shipping fees. Due to the nature of our factory direct business we are unable to offer express shipping. We're sorry, but we are unable to ship outside the continental U.S.
Orders to Hawaii and Alaska must be shipped via 2nd Day Air UPS - our shippers do not use the postal service. Your satisfaction is very important to us. You'll receive high quality products, in good condition. We fully guarantee all products against defects in materials and craftsmanship. Freight damages or product defects must be reported within 5 days of receipt of your order. Returns of new merchandise is accepted within 2 weeks of receipt of an order and require an authorization number from Dogbedworks. Please contact us for instructions at info@dogbedworks.com. Customers are responsible for shipping costs of return items. Jax & Bones products are not returnable unless there is a defect or company error. Custom & monogrammed orders are not returnable. Cancellations must be made within 2 hours of placing an order. Once an item is shipped it cannot be cancelled. Only items in NEW and UNUSED items with TAGS still on (if any) may be returned. A 15% re-stocking fee is applied unless purchasing an exchange. DAMAGED or USED items WILL NOT be refunded. Doggy damage is not warranted. No amount of use is acceptable, manufactures are quite firm. If used merchandise is returned it will be sent back to you if possible. Mongrammed Items: These are final sale and cannot be returned. We're sorry, but we cannot be responsible for items that have been ruined by destructive dogs or puppies. Our products are very durable, but are not indestructible. Please choose carefully depending on the age and behavior of your pet.